Priolite Ultra, a compact battery flash with "unprecedented HSS control", has received $100k in crowdfunding. 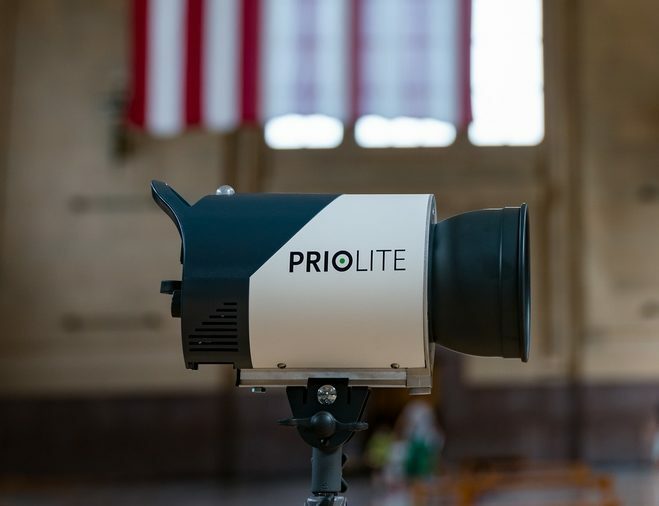 German manufacturer Priolite has successfully raised over $100,000 in crowdfunding to produce the Priolite Ultra, a next-generation battery-powered flash head with high-speed sync support. Lately it has become much more difficult for flash makers to distinguish themselves from the crowd of competitors. High power, high-speed sync and lithium-ion battery power is no longer a unique selling point. The Kickstarter project for the MBX500-HS Ultra is a bit different. The product’s design is based on the premise that many photographers shoot with high-speed sync. Priolite calls their version of this technology “HotSync” and promise the ability to use any shutter speed with any power setting on the flash. This sounds pretty standard, but what makes the Priolite Ultra interesting is that the company claims that it will do so with no loss of power. Though an engineer myself, I am still a bit puzzled about how Priolite manages to achieve high-speed sync without losing power. The difference between the Priolite and most strobes nowadays is that the Priolite is voltage controlled, instead of IGBT, and therefore relies on a long flash duration to achieve high speed sync. This is a much more efficient way to achieve high speed sync, but you still lose quite a bit of power. Priolite claims HotSync is the only technology that allows you to work at any flash power setting and at any shutter speed, though many other recently-released rival flashes promise similar features. The difference however is that these competing flashes often rely on IGBT. 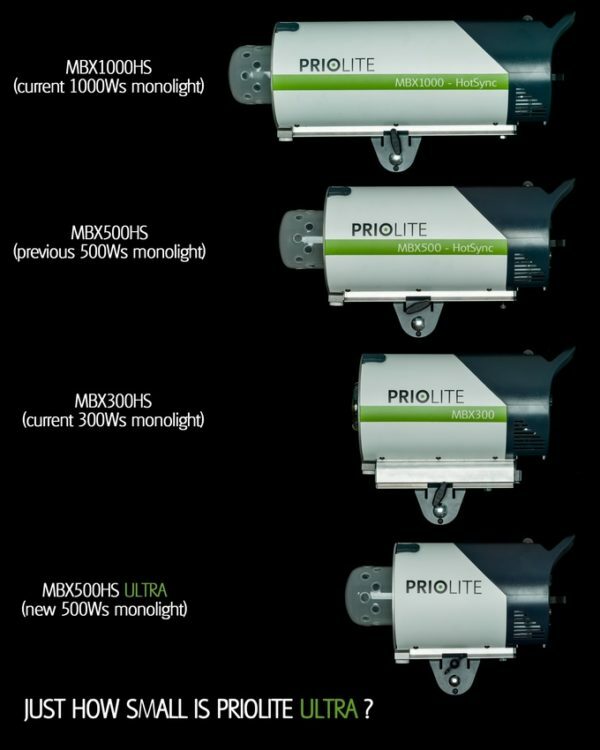 It is correct that Priolite is one of the first, if not the only, that is able to sync with a voltage controlled flash at any speed. During the Kickstarter project the MBX500-HS Ultra could be bought for $799, but the MSRP will be $1399. By collecting well over $100,000 Priolite well exceeded their target of $28,000, and because the project is successfully funded backers can expect their units to start shipping in September.